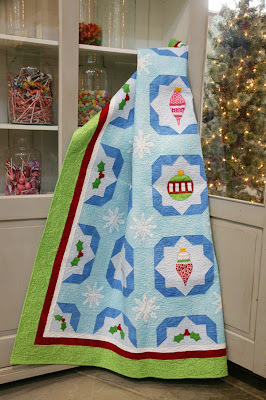 And the Winner of the Robert Kaufman bundle and the QN Best Christmas Quilts issue is..
Oh Amanda, I just love them both. 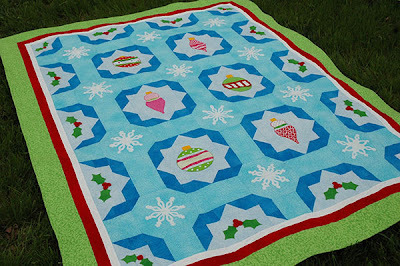 The fabric colors you used are wonderful. I love your quilt but especially the table runner. I am a follower. Thank you for the chance. Congratulations on the magazine! Thanks Jane, and thansk to everyone for the really kind comments. This was a really popular giveaway and I wish I had lots and lots of bundles to give people. Thanks for all the kind comments! Quilters Newsletter Best Christmas Quilts Giveaway! Quilters Newsletter Best Christmas Quilts 2012 issue is out on newsstands! It is also available online here. 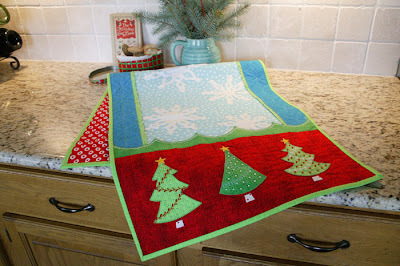 I have two projects featured in this issue and they are both really fun to sew! Sparkling Ornaments is a fun lap-sized quilt with lots of dimension. I especially enjoyed adding trim to the ornaments and making three-dimensional berries with tiny yo-yos. 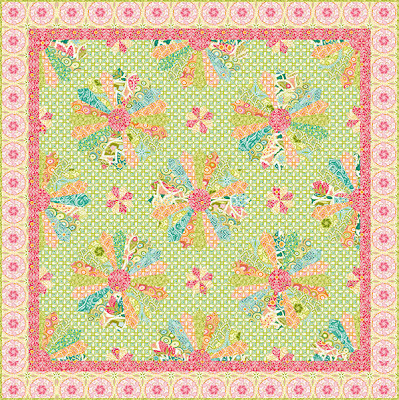 It was quilted by Deborah Norris. 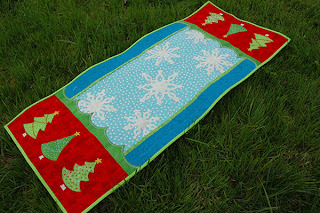 I also designed a Winter Wonderland Table Runner. Decorating Christmas trees with seed beads added a little extra sparkle! 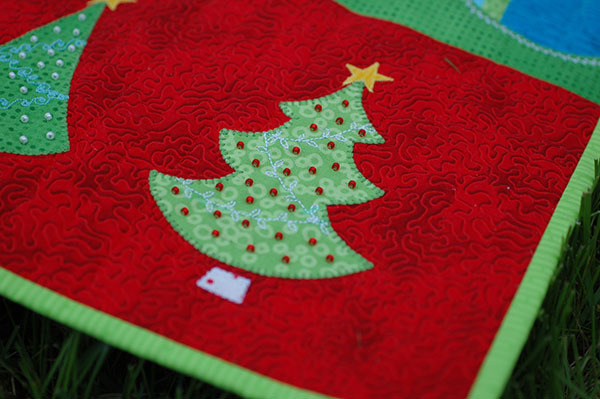 Plus I used YLI's white pearl metallic thread for the quilting - really a nice product! 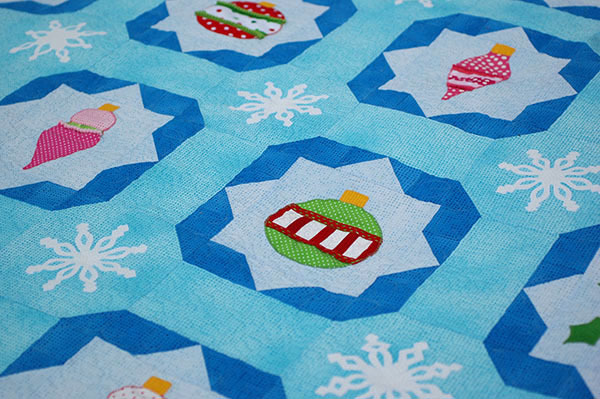 I used Aurifil thread for the piecing and applique and Warm and Natural batting from the Warm Company for both projects. 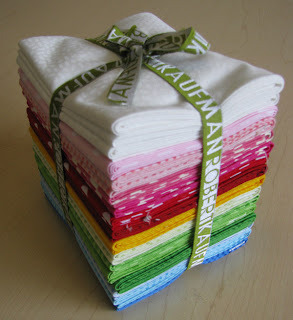 Robert Kaufman contributed 16 fun fat quarters comprised of fabrics that I used in both projects to give away! 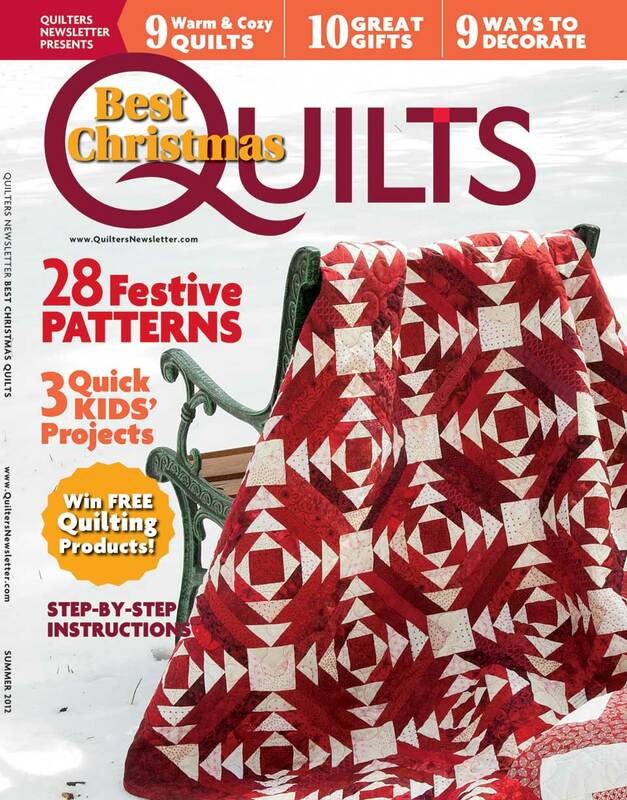 And you will get a copy of the magazine Quilters Newsletter as well if you win! For a chance to win this luscious bundle and a copy of Best Christmas Quilts, leave a comment on this blog post before 11:59 p.m. MDT on Friday, August 24th. I will draw one name at random. One comment per person, please. 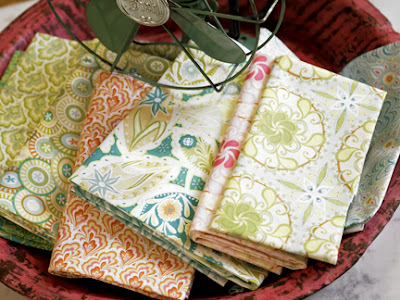 (Open to those who haven’t won something from Quilters Newsletter in the last 90 days.) If you post anonymously please be sure you leave a way for me to contact you should you win. And consider becoming a follower or subscribing to my email feed if you don't already. For more chances to win other bundles other days check out the Quilters Newsletter blog! There is also a free pattern for a special quilt that I designed especially for this collection on the Blend website! I can hardly wait for Bella in September! "20 Fresh Appliqué Techniques" now on Craftsy!